Tips: How to Get a Good Price by Selling Your Used Car? 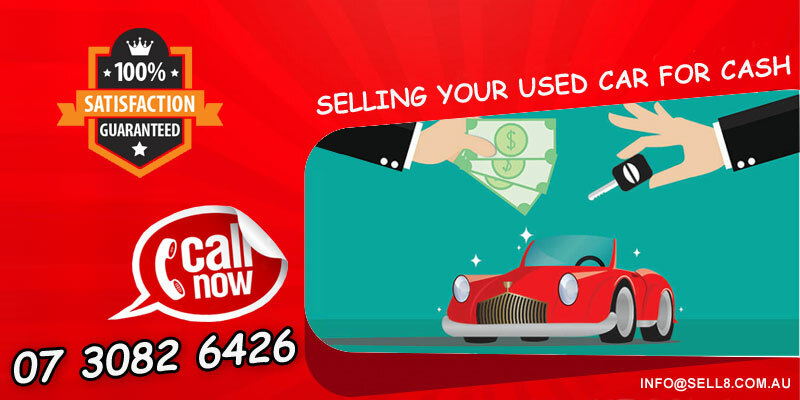 Sell My Car For Cash Fast » Blog » Sell Car » How to Get a Good Price by Selling Your Used Car? It is best to sell or exchange your old car if it does not function properly. There is no use in wasting space or spending uselessly on the maintenance of a car that cannot work. Hence, you must know how to sell your used car in exchange for a good price. The price you get in exchange for your car depends a great deal on its condition. If the car is simply old then the prices are better. If the car is old or new but has been in an accident, its viable parts can come into use as a replacement for other cars. Wrecked cars get the lowest price because they are as good as scrap material. However, firms like our company offer the owners a better price than the value of the car as scrap. People are not going to know that you are selling your car. You need to tell them and spread the word among your contacts and in the neighborhood. You will be amazed at how efficient this method is. Word travels fast among people. You will definitely get more responses like this rather than depending on a signboard outside your garage or an app. The chances of getting a better price are also higher if you are in direct contact with the buyer rather than contacting the person through a firm or middleman. When you buy something it’s a first for you even if its second hand, then how do you expect buyers to pay a good price if your car is so old that it’s outdated? A good time to sell your car is not more than seven years after its purchase. Obviously, people will be hesitant to buy a car that is older than seven years because it will be outdated by then. They will find it problematic to find its parts in the market if there is ever a need for repair or replacement. So you should consider selling your car while you can still sell it easily. Have You Maintained the Body and Engine properly? Buying a car comes with the responsibility of maintaining it properly. You need to checks and repairs done regularly to keep your car in good condition. Maintaining your car brings great rewards when you want to sell it. Even if your car is old, the buyer will always want to know about the condition of the body and engine. If you can supply them with proof that the car goes through regular maintenance from the showroom or other trusted firms, consider your car sold. You need to furnish all the original paperwork with regard to the sale and purchase of the car. You may find people willing to buy your car without the paperwork but they will pay you an unreasonably low price for it. You cannot jump at the first offer a buyer makes for your car. Keep looking for people who will pay you better. You need to be patient and calm. You can choose the best offer out of all the offers. You can always sell your used car for cash to us. We do not need you to make any repairs or provide any paperwork to sell your car to us. Once you get in contact with us we will take care of the entire process. We will get in touch with you as soon as we can after you contact us. Sell8.com.au will gather whatever information we require about your car. We also offer a free assessment of your car before offering you a price in exchange for the car. If you agree to our price we close the deal and pay you in cash without any delay.We look forward to buying your old used car for cash, so call us now!